This young female mix breed dog is new to our rescue. 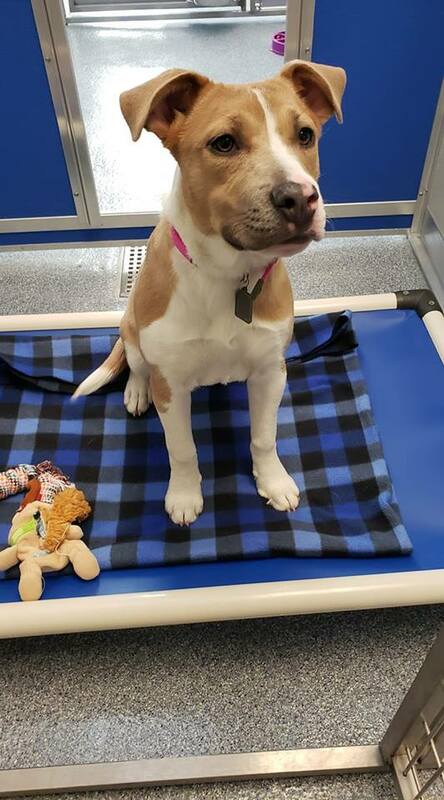 She does appear to have some pitbull characteristics so would need to be adopted outside of city limits or in an area that does not ban them. She is a lover-and a very loving puppy-She came to us with a foot injury and ended up loosing one of her “fingers”. We believe this injury may have been caused by a door as she is terrified of doors-We are working on this with her and she is thriving and learning to trust door ways. New Owners will be responsible for her spay when she is 6 months old.